Russian Power Metal band Caesarius released their debut EP «Dreamland». The EP drums were recorded at "Blues Minus Studio" by Victor Farafontov, and all the other were recorded in the band home studio. 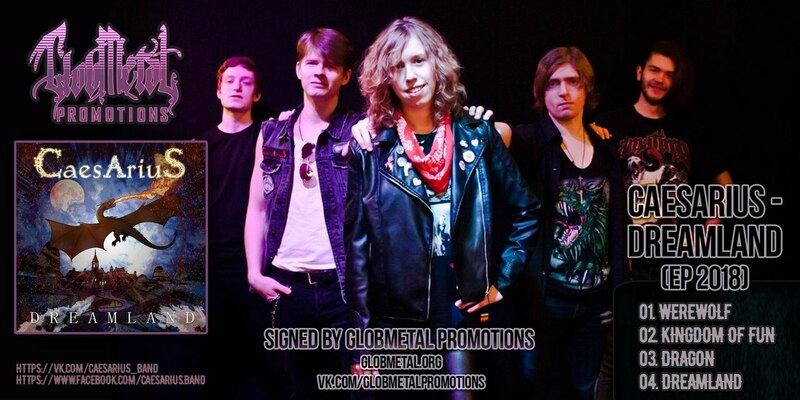 Caesarius was formed at Moscow by Vasi Lichtenberg in 2017, that wanna play old school power metal. Soon after Andrew Gluss (guitar), Slava Salinger (guitar), Sergius Harrington (bass) and Vitaly Virbul (drums) joined the band and the lineup was completed.